Puzzles are a great way to improve your computational thinking skills and learn about computing too. Computer science is all about problem solving. There are lots of puzzles based around algorithms. You can learn about cryptography, data structures, regular languages, networks, abstraction and representation, logical thinking, human computer interaction and much more through puzzles. Watch this space more puzzles. Download a copy of our computational thinking puzzles and solutions booklets. 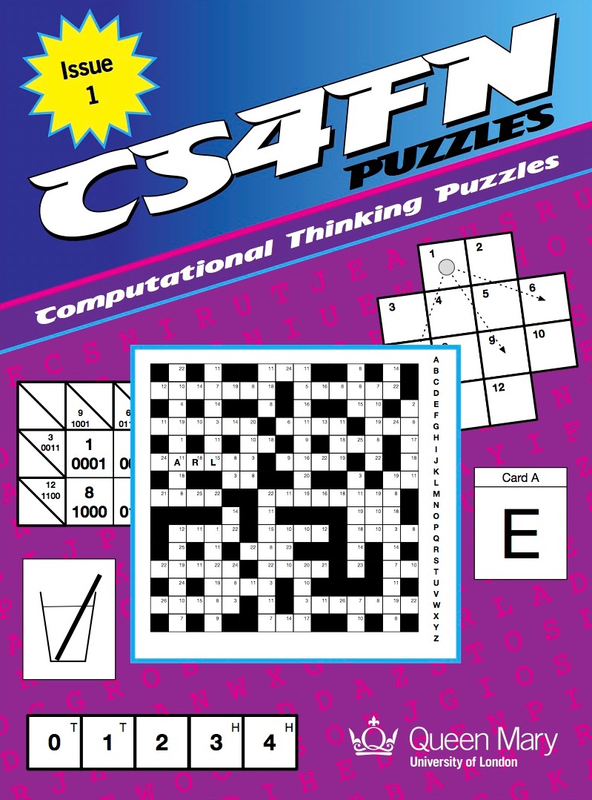 Copies of the puzzle book will be sent to schools that subscribe to cs4fn towards the end of February 2016. Download the linked booklets that go in to the puzzles in more depth, or read linked stories to the puzzles below. The cs4fn puzzle book and puzzle pages are made possible due to support from Google's CS4HS programme, with additional support from the Department for Education, Mayor of London and EPSRC through the CHI+MED research project.